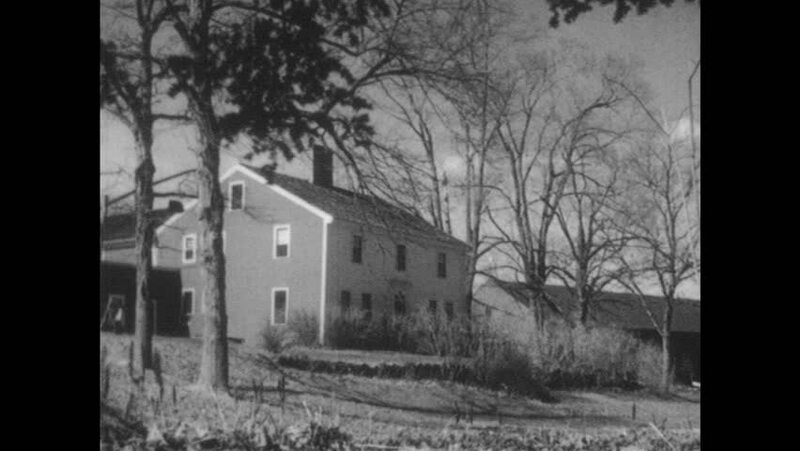 1950s: Farmhouse amidst trees. Young man sits writing at desk. hd00:171950s: House amidst trees. Side of farmhouse. Man sits by fireplace on chair with book as boy and girl watch from ground. Boy and girl sit on floor by person in chair. sd01:291940s - In 1948, the threat of Soviet Communism takes shape across the U.S.